It looks pretty good, huh! Anyway, let’s get back into that later and have a closer look at the set. 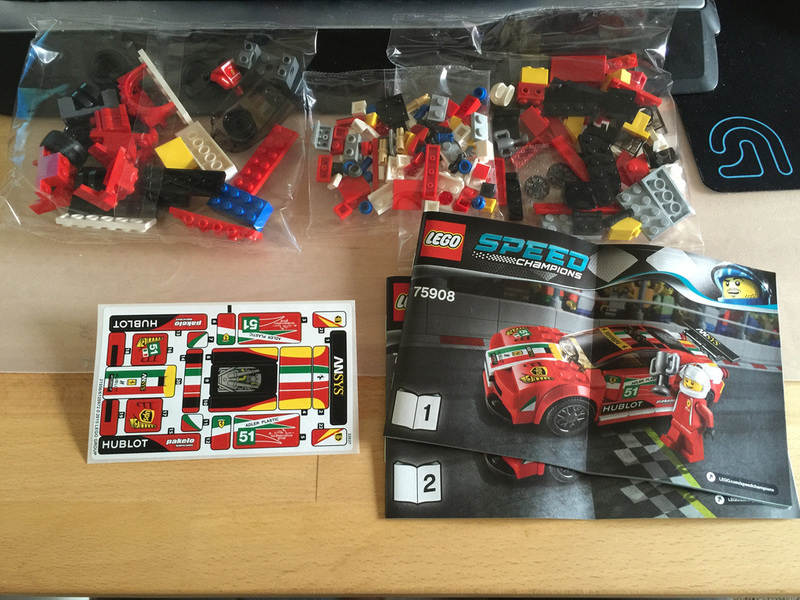 ​Out of the box you’ll get three parts bags, two instruction manuals, and a sticker sheet with a whopping 22 stickers. Yeah, that’s a lot! The most in any set I’ve reviewed I think. 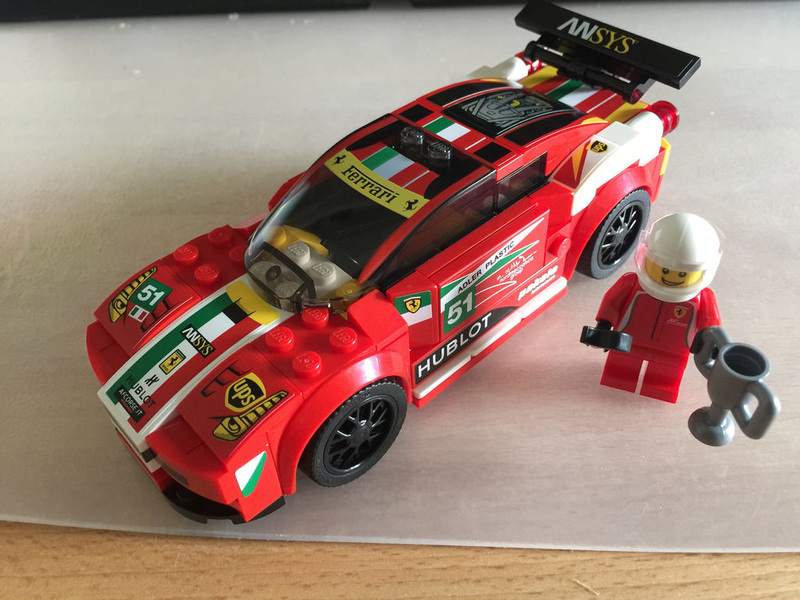 For a pretty simple set, there are some nice parts included. A 2x2x2 roof tile is included in a new colour – bright yellow, as well as a minifigure trophy seen for the first time in metallic silver. And then there’s the windshield. It looks great, especially with that Ferrari branding on it. It does mean it’s not going to be as versatile, but it is nice having a printed part. You also get some new hubcaps, but if you have 75912: Porsche 911 GT Finish Line; you’ll already have them. I do like the option of having two sets – it makes for a nice detail. 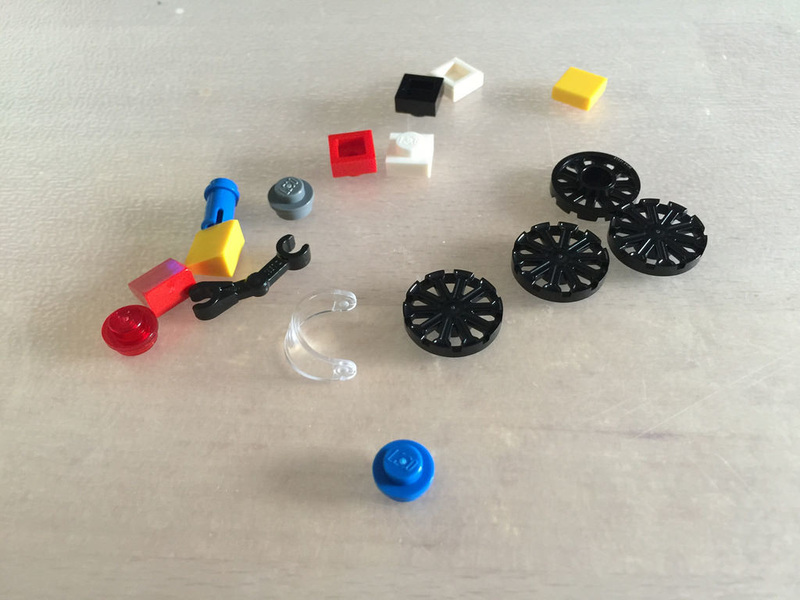 I like the inclusion of the two trans 2×2 bricks, as well as the new design wheel arches and those tyres and rims. 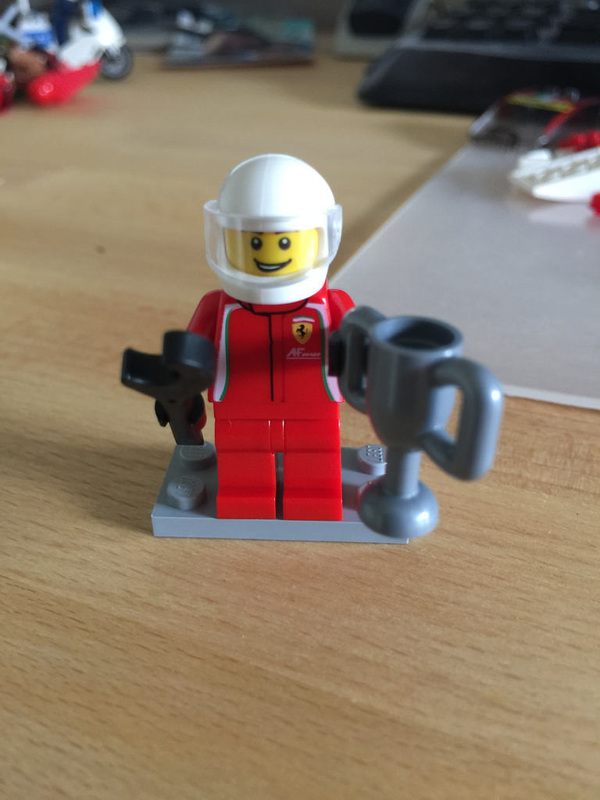 You get one minifigure with this set, obviously the driver. He comes in Ferrari racing overalls, with back printing also. 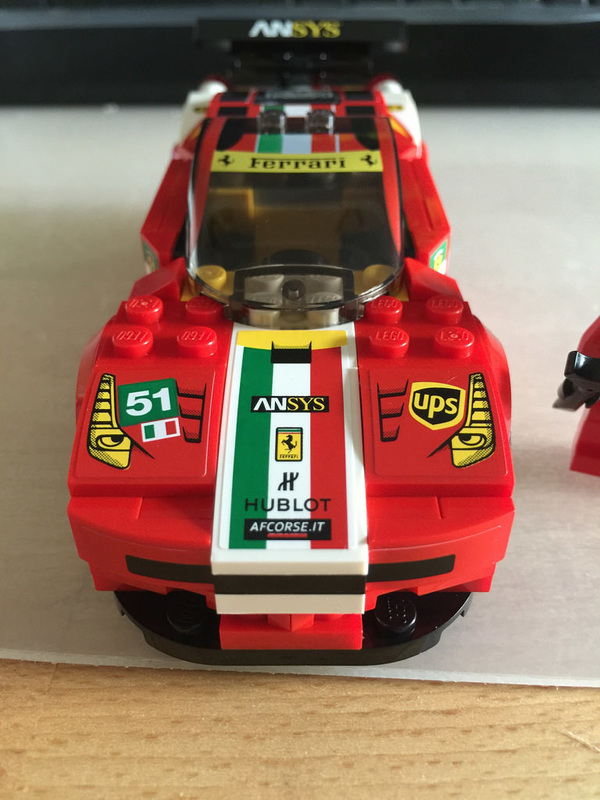 I like the detail of AF Corse being printed on the torso. 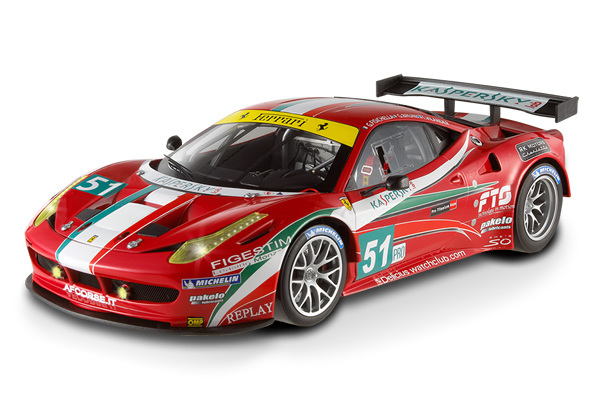 AF Corse is the Italian racing team that runs this particular car. Some pretty standard spares in this one, not counting the hubcaps. I was surprised with the inclusion of the space skeleton arms in the set, and I get a spare too! Bonus. It is a pretty standard build for a vehicle, but the one thing you notice is just how many stickers there are! It’s a little crazy, but they add so much detail, it’s necessary. The curves on the back of the vehicle are very nice, and I particularly like the tail lights. 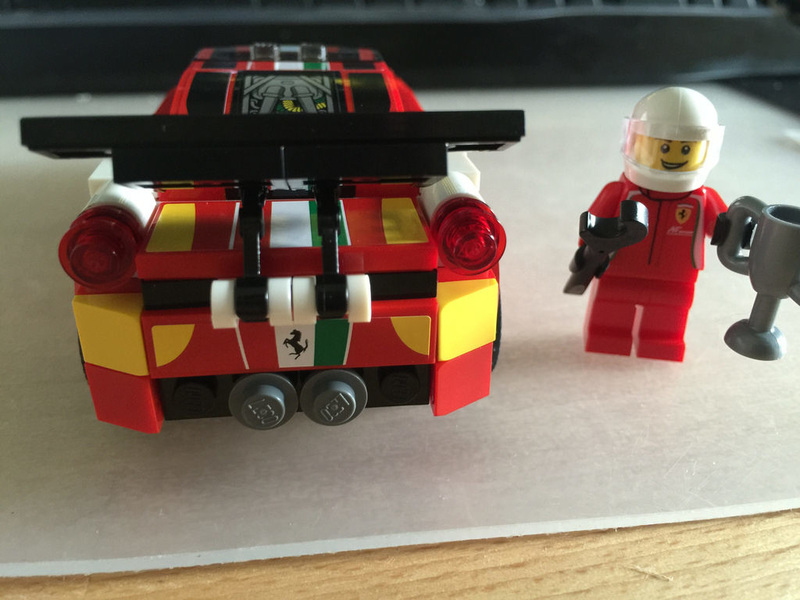 As I said in the previous set’s review, it’s difficult to replicate the curved nature of a car, especially a Ferrari, and all within a 6 stud wide limit, while attempting to make it work with a minifigure! I think they’ve done a pretty good job. This set gets 8.5 out of 10. Playability is great, especially if you have more cars, the colours are great, and the stickers are worth it. There are some nice parts, but where it gets let down is the shape of the car. 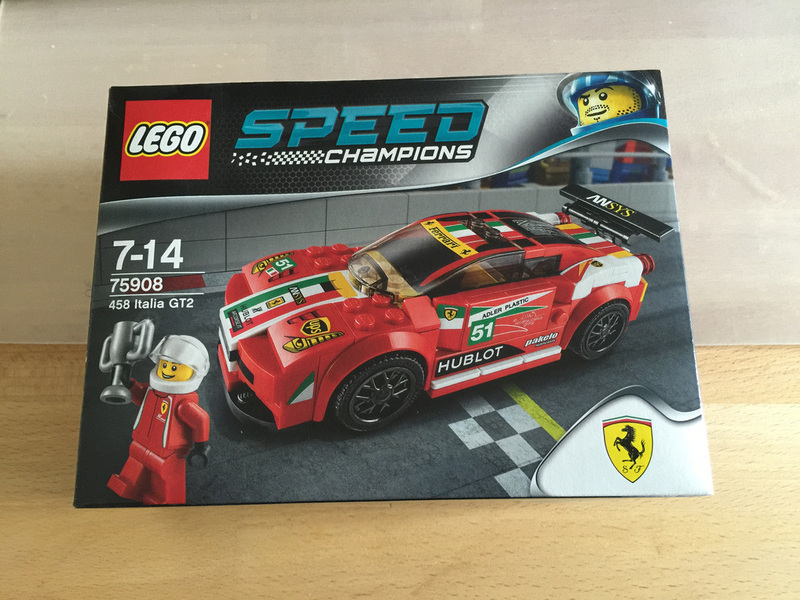 It’s just a little too blocky for a Ferrari. It just needs to be wider! Next up on the review list is this year’s Series 4 Mixels – the Glowkies. Don’t forget to check out the new Instagram account, and like and share on Facebook.